Gillian Turnbull is currently writing Sonic Booms: Making Music in an Oil Town, a book on Calgary's music scene. She has written for The National Post, Hazlitt, and Penguin Eggs, and teaches at Ryerson University. My partner, a Nova Scotian, likes to tease me and my family about what he defines as our Alberta advantage: a supply of gas so plentiful that it’s basically free. After years of hearing it, I think his joke is tired. But he keeps at it, knowing he’ll either get a rise out of me or spark outright confusion from my family when he throws it at them. And it’s not like I can turn the tables on his Nova Scotia upbringing: jokes about fish and fiddles might as well be doused in oil for how easily they slide off him. He doesn’t care. He has the weight of several hundred years of Nova Scotian history to anchor his identity. His province is home to the first European settlement in what we now call Canada. We don’t have that in Alberta. Now, after the Trudeau government’s May 29th announcement of its intention to purchase Kinder Morgan’s Trans Mountain pipeline system, we as a country are left grappling with—and holding the bill for—Alberta’s primary export. The Trans Mountain pipeline has been one of Canada’s most pressing environmental and economic battles in recent years, demonstrating how tied our regional politics are to these issues. BC premier John Horgan has threatened to block the completion of the pipeline, which would run from Strathcona County, near Edmonton, through Jasper National Park as well as Mount Robson Provincial Park, both of which are in the Rockies, to its termination point in Burnaby, BC. Alberta premier Rachel Notley has countered with threats to cut the flow of oil to BC. Meanwhile, until last week’s announcement, Trudeau seemed largely preoccupied with currying favour among his Alberta constituents while not losing his BC base, dithering between the two. 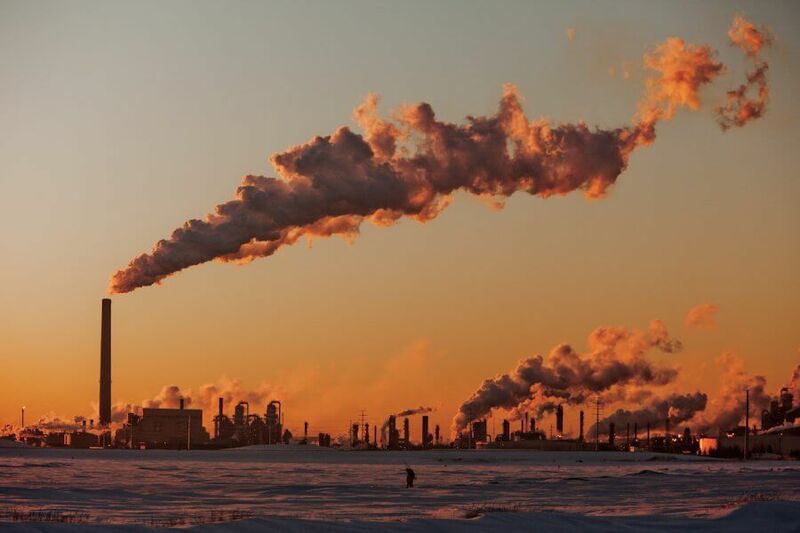 Since the discovery of petroleum at Turner Valley more than a century ago, the oil industry has shaped Alberta’s identity—from its routine economic booms and busts to its immigration and settlement patterns. While we Albertans didn’t, in fact, have free gas growing up, we certainly understood ourselves to be forged by what lay beneath our surface. And though it kindled fiery confrontations with politicians in other provinces—“Let the Eastern Bastards Freeze in the Dark” was a popular bumper sticker in the West during the senior Trudeau’s tenure—oil foregrounded the province’s importance in the country when all else failed. While Trans Mountain has largely been portrayed as a battle between the environment and the economy—and two NDP leaders—for many Canadians it ultimately comes down to an identity crisis. Because Albertans aren’t just worried about jobs. They’re worried about who they are. I moved to Toronto from Calgary fifteen years ago. Although I’ve now made my home in Toronto, much of my work, and my admiration for the community and culture there, has kept me tethered to Alberta. Still, as soon as I moved to Toronto, I was struck by the wealth of heritage on display. Churches inching toward their two hundredth birthdays; houses where some of Canada’s most famous citizens had lived; the architecture of the University of Toronto alone. It all astounded me. To this day, riding the streetcar out of Spadina station’s underground tunnel on a dark winter day, orange lights piercing the fog to illuminate crumbling brick buildings, creates a feeling in me like no other. In contrast, pictures of Calgary, gleaming and new under bright sun, its history ready to evaporate in a second, have come to depress me. I’ve quickly grown to prefer Toronto’s narrow houses and closed-in lots with yards full of weeds to the expanses of carefully tended lawns and double-car garages that characterize so much of Calgary. That feeling was deepened by a trip I took to Scotland a few years ago; there, I knew I was home in a way I had never before experienced. There was even a Turnbull Room at the University of Glasgow. It was there that the weight of history, of my heritage, locked into place for me. When I think about all this, I’m reminded of Barbara Kirshenblatt-Gimblett’s definition of heritage: “the transvaluation of the obsolete, the mistaken, the outmoded, the dead, and the defunct.” Arguably, oil is indeed the outmoded, the obsolete; it is definitely the mistaken. But oil is Alberta. Sure, they’ve got beef—but in a world leaning toward vegetarianism, it’s hardly a viable economic driver. That’s been particularly true since the 2003 BSE scare, in which a confirmed case of mad cow disease in northern Alberta caused a domino-effect of border closures to Canada’s beef and cattle. The wheat boom effectively ended in 1913, just before the discovery of oil in the province promised to turn Alberta’s economy from pretty good to prosperous. It was at this moment, less than a decade after it joined Confederation, that Alberta realized it had something truly distinct to offer. Nobody else had such a large supply of oil. Suddenly, they were needed. Of course, Albertans are legitimately concerned about their economic future, traumatized as they were, and continue to be, by the collapse of oil prices in 2014-15. Mass layoffs, foreclosures, bankruptcies: these are, as anyone in a dying industry knows, the very real and personal costs that any area in economic slowdown must endure. Still, I hew to the notion that jobs and environmental concerns don’t have to be mutually exclusive priorities. Rachel Notley knows this; she’s been at the forefront of sustainable energy initiatives, and of closing down coal-fired electricity in the province. But that doesn’t address the pressing concern of who Albertans are in the context of Canada. Citing Alberta’s “Western” heritage is a rather meaningless endeavour. While the Calgary Stampede is a key annual cultural moment, its primary appeal is the opportunity to party during the summer—or, at best, to participate in a form of cultural performativity. At this point in history, the Stampede offers little in the way of connection to people’s daily lives in the province; nor does it provide any significant ongoing cultural engagement. Many have even argued that the Stampede is an invented tradition, albeit one grounded in Alberta’s original industry and history; it often seems like few Albertans wear cowboy boots outside of the ten days in July when they’re encouraged at the office. In the absence of a clear picture of just who Albertans are, worst-case-exemplars have tended to calcify into clichés. In fact, most Albertans I know are not red-faced, entitled, belligerent yahoos shouting about the “tree-huggers” who drive their fossil-fuel vehicles to pipeline protests. They’re typically a pragmatic people, wishing for careful government spending, angry at political corruption at the highest levels. And they’re deeply concerned about the environment. But they are also under no illusions about how the rest of the world perceives them; they are fully aware that despite their rich reserve of natural resources, they are viewed as the backwater embarrassment of the country. Alberta’s sort of like the black sheep, the middle child who comes begging for a boost when that “promising” new investment opportunity turns sour. It’s not the distinguished oldest sibling whose natural authority masks her mistakes; nor is it the funny youngest kid who keeps telling jokes as a way to hide his own economic failures. Essentially, Alberta has a serious, middle-child inferiority complex that goes back to Confederation, and Central Canadians’ capitalist interests in the bounty of natural resources there. The federal government will soon own the Trans Mountain pipeline, in the form of a Crown corporation. Alberta’s heritage has become the country’s corporate bailout. No wonder the province has an inferiority complex; how many jobs will it take to explain away the burden of this new debt? And what sort of cultural offering could make the country forget that liability? If only Alberta could dredge up the next Drake. Sometimes culture becomes heritage; many people understand Nashville’s identity to be built on its country music history, and Seattle is known for its 1990s-era grunge music exports. To my mind, Alberta hasn’t quite seemed to produce a cultural export with that kind of broad, nationwide appeal. I’d wager that most Canadians would find it tough to name a prominent Albertan writer, musician, or artist whose contribution has been so significant that they see the province through that artist’s lens. Yet those same Canadians could likely look to Atlantic Canada, which over twenty years ago suffered the same kind of natural-resource collapse when its cod industry crashed from overfishing, and call to mind Great Big Sea, Sloan, The Rankins, and Natalie MacMaster, not to mention kitchen parties, whale-watching, and Peggy’s Cove. 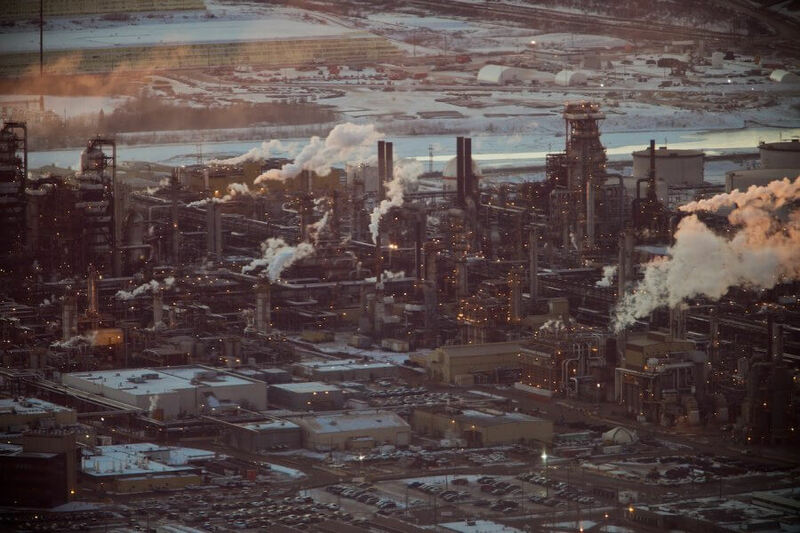 An identifiable culture of the kind that, in Alberta’s short, work-obsessed history, hasn’t materialized as cohesively. 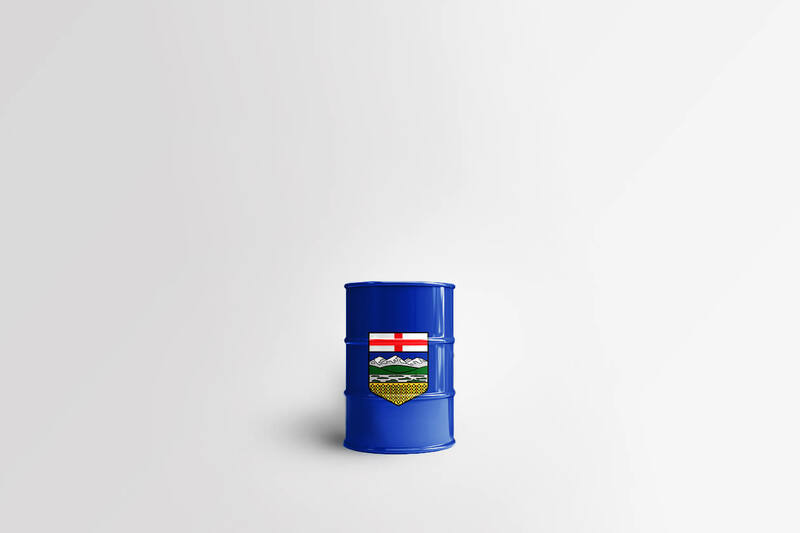 Albertans turned to oil as their heritage. It kept the country warm, it offered jobs, it established outposts of newcomers from all over, brought together by industry. It became a source of pride and possessiveness in a way that sustainable energy can’t, because, hey, everyone has access to the sun. Not everyone has a trove of oil reserves. I left Alberta to start my doctorate degree. In what is a good example of irony, I had to leave my province in order to study it. I entertained offers from multiple schools, but settled on York University in Toronto because they were the most enthusiastic about my project on Calgary country music. Since completing my PhD, I’ve applied to multiple positions in universities and cultural organizations in Alberta, and have not once been invited for an interview. Yet I’ve encountered numerous Torontonians curious about my work, interested in Alberta’s history, and willing to let me parlay that into paying gigs; and so Toronto has become my home. Kirshenblatt-Gimblett suggests that the process of exhibition creates heritage by offering something long gone a new purpose. In some ways, Alberta’s present moment—as it loudly declares its intentions and, by extension, its desire for agency in determining its future—can be considered a kind of exhibition. Yet it often seems no more than chest-beating, a desperate cling to what has defined a province for over a hundred years. “Hear us,” Albertans cry; “Take what we have to offer.” They’re not even begging for jobs, necessarily. They just want to matter. Will Alberta be just a ghost province in fifty years? Who, and what, is Alberta, if not oil? If we wait too long to figure it out, we may never know.